There is a wide variety of dog breeds to suit every pet owner’s needs. Some are not so big but very energetic and have enough stamina to play or participate in other sporting activities. These dogs are not too small but do not exceed 50 pounds. Thus, walking them will be easy and less time will be spent grooming these dogs. Having the right size that you can easily handle is vital to being a happy pet owner. Centuries ago, dogs were bred originally for pulling sleds, herding livestock, tracking lost animals, retrieving shot birds or hunting. Some were watchdogs or guard dogs. Those that could swim helped their owners hunt near streams. Others that were very fast can swiftly chase down small animals like squirrels, rabbits and other wild game. Most of these dog breeds were developed mostly for farm work. They were used for herding goats, sheep and reindeer. Most dogs these days are bred for companionship. They are very intelligent and can adapt easily to different environments. 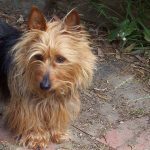 The time you are willing to devote to your pet should be considered when adopting a dog. Exercise needs differ for dogs. Some pups enjoy playing in a big yard and are good with kids. They can as well live alongside other pets like cats or separate dog breeds. 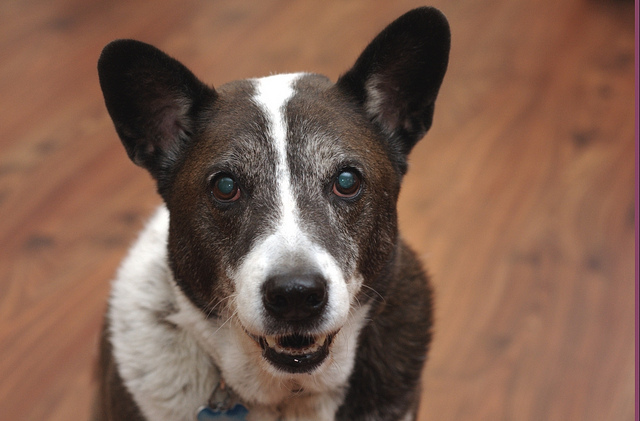 There are also dogs that are mellow and fit for elderly people or those living in small apartments. They don’t bark too much and won’t be a nuisance to the neighbors. Larger dogs may need more brushing time due to their size. They are difficult to carry and may not like small spaces. These could be hounds, terriers, sporting, non-sporting or miscellaneous breeds. 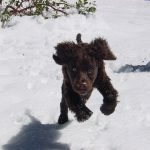 The American water spaniel is a great medium sized dog that enjoys playing a lot and can swim. 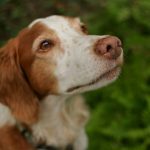 It is a very energetic hunting dog that is friendly and easy to train. It can play frisbee in the yard or other sports like flyball. Given obedience training, it could comfortably live in an apartment and would be satisfied with getting long walks daily. They do not drool much and require moderate grooming to keep their coat clean. They reach maturity in 2-3 years and have a longevity of 15years. 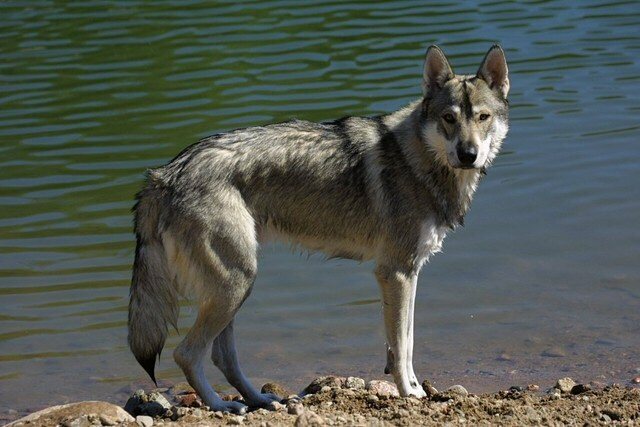 This breed could grow up to 18 inches in height, weigh 45 pounds and come in different shades of brown. These are very strong intelligent dogs. They were originally bred for herding livestock and can thrive in hot weather conditions. Can be trained for almost any task with positive reinforcements. They are quite independent and can stay for long hours without the presence of the owner. 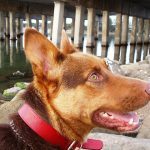 Australian Kelpie need regular exercises to keep fit physically and mentally. They have a double coat and shed seasonally. 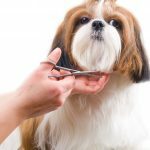 Regular brushing will keep their fur looking clean and healthy. They reach maturity in 2-3 years and have a longevity of 15years. And could grow up to 20 inches in height, weigh 46 pounds and come in different colors. 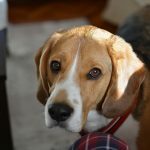 The beagle is a friendly hound. It can be a good companion for individuals and families. It is very suspicious of strangers and can follow a scent. Their prey drive may cause them to chase after other pets. They are intelligent and easy to train. They can live in small apartments as long as they get routine walks daily. Their coat just requires brushing a few times a week to remain clean. They reach maturity in 2-3 years and have a longevity of 15years. They could grow up to 15 inches in height and weigh 30 pounds. This is a sporting breed developed originally for hunting or retrieving birds that were shot by a hunter. They are very energetic and can get bored when left alone for a long period. They begin to chew on furniture, clothes and shoes just to draw attention to themselves. Adequate exercise will help curb this unpleasant behavior. Grooming is easy with weekly brushing and occasional baths. They reach maturity in 2-3 years and have a longevity of 14years. They could grow up to 21 inches in height and weigh 40 pounds. One of the oldest known terrier breeds. They were used in farms as watchdogs to keep rodents away. Bark a lot and need supervision around other pets. They need a dominant owner to train them in obedience. Their intelligence and independence enable them to fare well when left alone for long periods. They have a double coat with wiry hair that can be brushed weekly to keep them healthy. They reach maturity in 2-3 years and have a longevity of 16years. And could grow up to 20 inches in height and weigh 27 pounds. 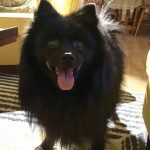 The German Spitz is a dog breed with a mane-like fur around its neck. This breed is friendly and easy to train. It can adapt to different environments and withstand adverse weather conditions. It is a great pet for individuals and families. Adequate exercise will keep them healthy, both physically and mentally. Grooming requirements are not difficult. They reach maturity in 2-3 years and have a longevity of 14years. They could grow up to 15 inches in height and weigh 26 pounds. This breed has a muscular body and a lovely personality. They are mellow and friendly. 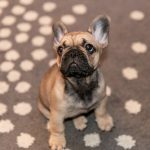 Although they can socialize, French bulldogs are territorial and very suspicious of strangers. Their coats are short and grooming is quite easy. They reach maturity in 2-3 years and have a longevity of 12years. They could grow up to 13 inches in height and weigh 28 pounds. This dog has a muscular structure with almost no hair on its skin. It doesn’t drool and may be fit for people that are allergic to dog dander. They have very little grooming requirements. 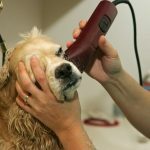 An occasional bath with a good shampoo is enough to keep them healthy. They reach maturity in 2-3 years and have a longevity of 12years. They could grow up to 23 inches in height and weigh 48 pounds. The Standard Schnauzer is a highly intelligent medium-sized dog with a beard and moustache. They are very athletic and excel in sports and easy to train and enjoy the company of children. 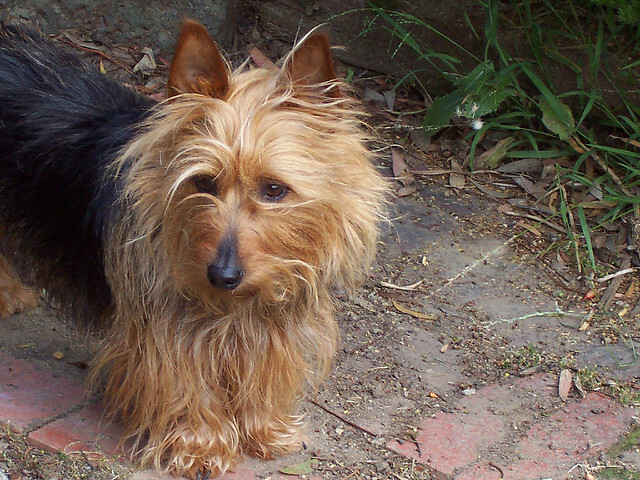 This breed may not be fit for small apartments and should not be left alone with other pets. They have a double coat that requires constant grooming. 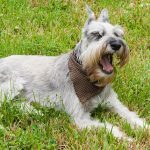 The Standard Schnauzer reach maturity in 2-3 years and have a longevity of 12years. They could grow up to 21 inches in height and weigh 48 pounds. This breed was originally bred for herding livestock. They are energetic and tend to bark excessively. Require obedience training at an early age to curb unpleasant behavior. Due to their friendly nature, they are a great choice for family pets. 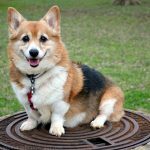 Pembroke Welsh Corgi shed heavily and require a great deal of brushing. They reach maturity in 2-3 years and have a longevity of 15years. They could grow up to 12 inches in height and weigh 30 pounds. 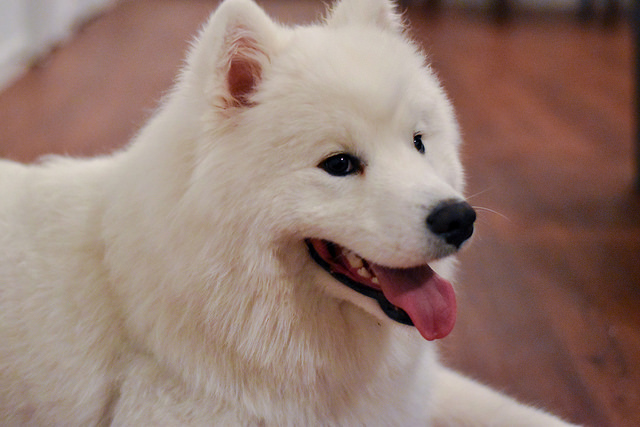 This is one of the oldest Japanese Spitz dog breeds. It is intelligent, alert and has a foxlike appearance. This dog breed is not overly dependent on its owner and can be very territorial. Due to their strong prey-drive, they should not be left alone with other pets. They shed seasonally and require moderate grooming. They reach maturity in 2-3 years and have a longevity of 14years. 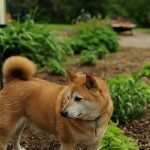 Shiba Inu could grow up to 17 inches in height and weigh 23 pounds. 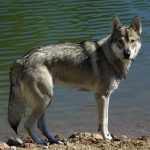 This is an energetic dog breed originally developed for hunting. It barks when it spots suspicious activity, which is a good trait for a guard dog. It is overly protective of its owner. 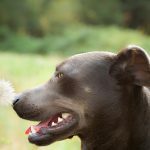 Early socialization will help curb aggressive behavior in this dog breed. It is highly active and requires routine exercise. The coat is smooth, shiny and does not require a great deal of grooming. They reach maturity in 2-3 years and have a longevity of 12years. They could grow up to 20 inches in height and weigh 45 pounds. 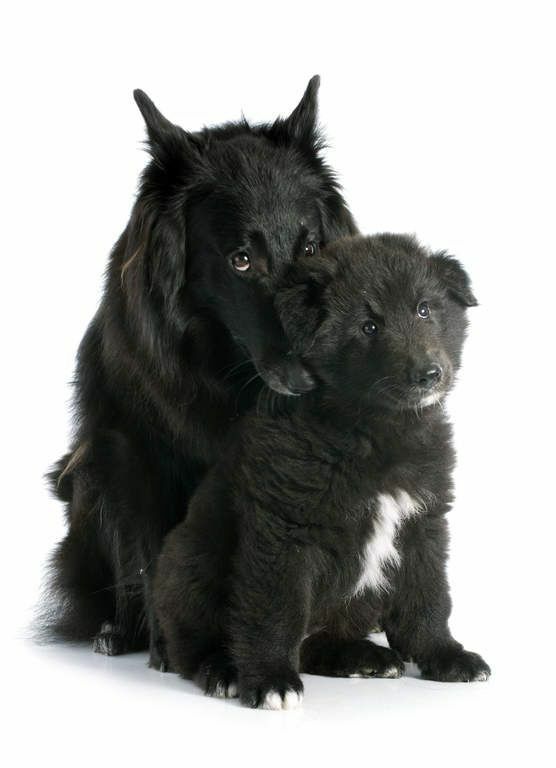 These are friendly dog breeds originally developed for herding sheep and goats. They protect lambs from birds of prey. They are affectionate and make good companions for people. 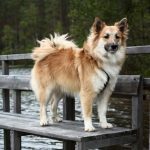 Icelandic Sheepdog have thick coats that require regular grooming to keep them clean and trendy. This breed reach maturity in 2-3 years and have a longevity of 15years. They could grow up to 18 inches in height and weigh 30 pounds. They are very intelligent, energetic and love to play. 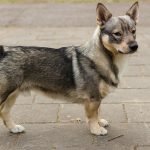 Swedish Vallhund are very intelligent and easy to train but can bark incessantly. They require adequate exercise daily to keep them physically and mentally sound. Their lively nature makes it possible for them to adapt to different environments. Grooming may be demanding, due to their dense top coat. They reach maturity in 2-3 years and have a longevity of 15years. They could grow up to 13 inches in height and weigh 35 pounds. 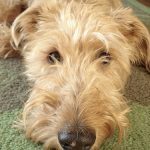 The physical and mental health of your pet should be made a priority. 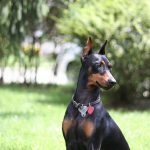 Pet owners should have a clear understanding of what it takes to foster any dog breed of their choice.